If you are looking for a safe way to stop friends, business colleagues or family from using their smartphone for texting whilst driving the car, you might be interested in a new smart phone car safe call the ORIGOsafe. 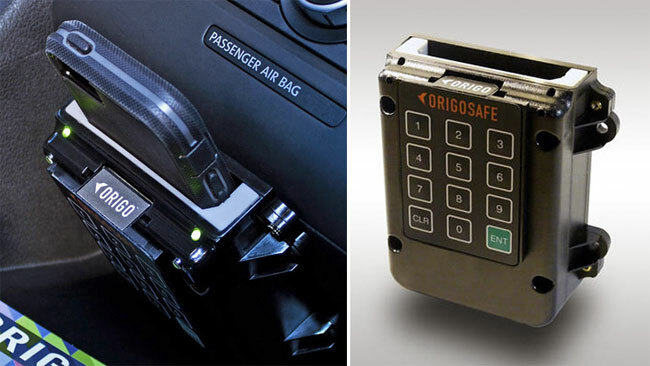 The ORIGOsafe has been designed to link to your ignition and prevent the car starting unless your smartphone is safely tucked away within the ORIGOsafe. Watch the video after the jump to see it in action. Unfortunately the current time the ORIGOsafe will only work with the Samsung Galaxy S3 smartphone, however new versions of the ORIGOsafe are currently under development for Apple’s iPhone 4 and iPhone five smartphones. For more information on the new ORIGOsafe device jump over to the manufacturers website for full specifications, details and order pages.